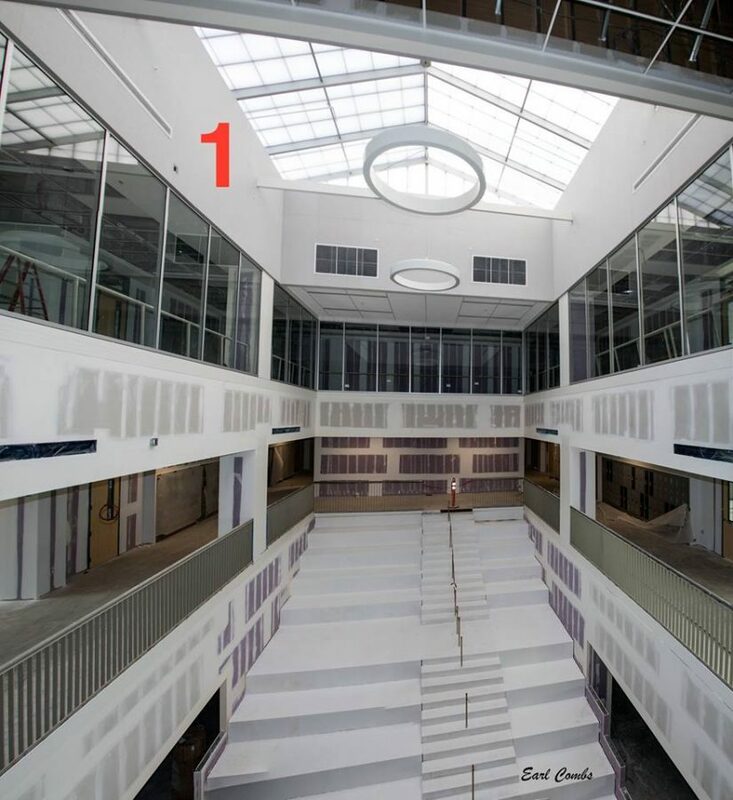 Atrium in the three-story classroom building. Lathrop Construction has applied a metal surface over the concrete. Eventually it will get a beautiful terrazzo tile covering. Photo by Earl Combs.